Kanak AngirishAdvisor-PR & Communications - Novozymes South Asia Pvt. 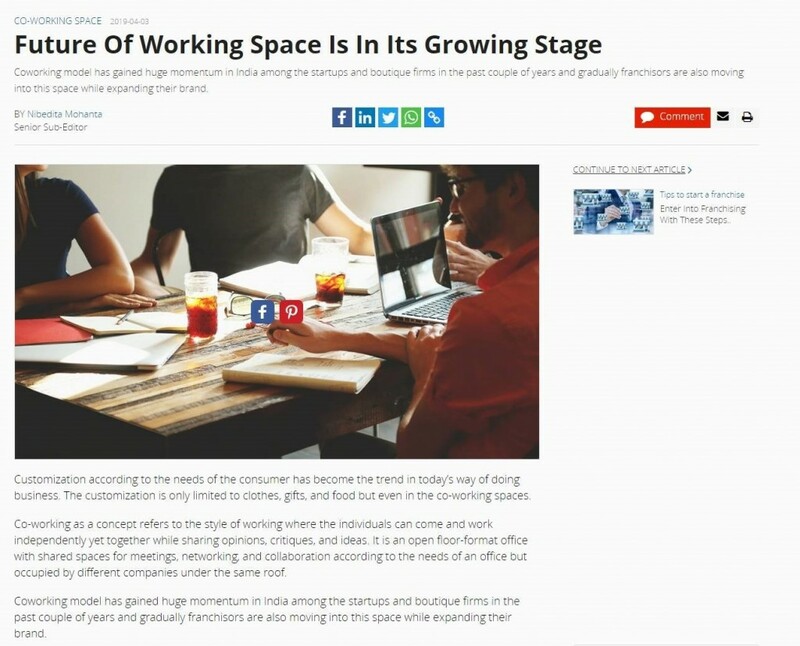 Ltd.
Franchiseindia.com 3rd April, 2019: Nakul Mathur, MD, Avanta India says, “The greatest change is the acceptability of co-working spaces in India that has resulted in coming up of 200 premium business centers and 100 premium coworking spaces. These numbers are expected to double by 2020.